Lava Iris 458Q, another well designed Iris device that will hold you with surprise. The device belongs to Price Segment III, available at Rs. 8,000. The phone has amazing features at this price point. Iris 458Q comes up with an 8MP camera & 1.2GHz quad-core processor running Android 4.2 JellyBean. 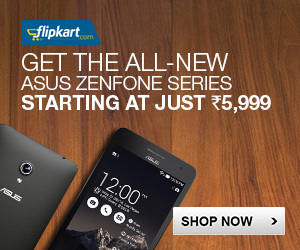 Other devices in this segment would be Galaxy Young, Music, Karbonn A26, A27+, Xperia E, Tipo & many more. Let us find out if this Iris device outstands amongst all. The Handset & a 2000mAh Li-Ion battery. The back panel of the phone is different than other Iris devices. It covers the sides & the hardware buttons resides on it. The back is made up of rubber matte finish which gives a good grip. Camera & the LED flash are covered with plastic surface. The device comes in black & grey colors; but grey colour looks like glossy blue colour. Edges are covered with the rubber back panel that will likely save you from deep impacts. The speakers are very large, located at the bottom half of the back panel. Memory card is hot-swappable & SIM slots are one over the other. The phone weighs 144g & has thickness of 11.9mm. One major difference than other JellyBean devices is that the Notification Bar & Volume Rockers are accessible even when the device is locked. This could be a big problem when the volume button is pressed unknowingly in your pocket or while removing it from the pockets. Iris 458Q has a stock Android 4.2 JellyBean UI. Transitions are very smooth & the phone doesn’t lag at all. The capacitive buttons are very responsive. The Home screen has default wallpaper that shows bunch of Yellow Lamborghinis on the street. The display of Iris 458Q would not disappoint you at all. The LCD display is 4.5 inch giving resolution of 480×854 pixels (FWVGA) with 217.7 ppi. The screen has no protections so at the max you can use the scratch guards out of the box. The phone produced good colour & sharpness at majority viewing angles. At the horizons, the colours tend to black out. Sunlight Legibility of the phone is very good even though the screen is reflective. Phone has light sensor so no need of manually adjusting the screen brightness. 4.5 inch display of the Lava Iris 458Q makes it easy to reach all the corners using single hand. I really liked the large speakers of this phone. The only problem is with its location at the back. It can get occluded while using the phone or when kept inside your pocket pants. The audio level is better than Samsung’s 15k device Galaxy Core (link); sufficient enough to be heard while commuting. It has stock music player with all those features of shuffle, party shuffle, repeat & many equaliser options. It supports mp3 & aac formats but not wma format. The manufacturer gives MX player along with the stock Video Player. The stock player worked flawless. It was able to seek-on-tap & plays the video from last left out. The device plays videos well upto 720p; but the1080p videos are not supported in the MX as well as the stock player. The stock video player supported mp4, avi, mkv & flv formats. Texting in portrait mode (using single hand) is hectic due to the screen size. Also, the phone did not have Swype feature; so you’ll need lot of practice to get fluent in portrait mode typing. Landscape mode typing is very good & you can add words to dictionary easily. It has good prediction options & you can also use voice dictation. Iris 458Q comes with Opera Mini browser along with the stock android browser. The browsing experience is good with fast pinch to zoom & flawless scrolling. Overall crispness of the content on the browser is not very sharp. You’ll surely feel the missing IPS display here. Lava has never disappointed us with their cameras. Iris 458Q has an 8MP rear camera with a very good auto-focus & LED Flash. But we are not so happy with this camera. A ‘small’ surprise that this camera does not truly represent an 8MP sensor. It has all standard modes available like HDR, multi-angle, panaroma, smile shot, magic face, EV bracket, etc. Out of these, HDR, EV bracket & multi-angle shots are very good. Panaroma won’t be able to freeze moving objects. Low-light imaging with flash is good. It gives you the details that are necessary but will not give you image of 8MP quality. It has 4x zoom which performs its function well upto 2x; 3x & 4x images are sharp but they lack richness. Colour reproduction fades its way in the glory of 4x. The front camera is a ‘big’ surprise. It is a VGA camera that is not even close to Nokia 6600’s camera (remember that first, obsessed, multimedia phone). The video is good on this phone. Pinch to zoom works flawless & auto-focus is very responsive even if you don’t give your inputs. The video quality is respectable upto 2x; beyond that you should not expect any eyes, nose or tongue to be seen clearly. Lava Iris 458Q runs on MT6589 chipset sporting a 1.2GHz quad-core ARMv7 processor. It has 512MB RAM along with 0.98GB internal & 1.80GB phone memory which are available for users. The phone works fluently with some handful of games & apps open at a time (even though it has 512MB RAM). The UI becomes sluggish at Level 3 Multi-tasking test & the phone gets heated up. There is no option to restart the phone but the phone started & shut down very quickly. Adding the two, the phone could be restarted in 25 seconds (including the time to press & hold the power key). These timings are fastest I’ve seen in the moderate range Android phones. Bloatwares (FALTU Apps)- Cosmopolitan India, India Today English, Saavan, Paytm & WeChat. Useful Apps- Backup & Restore, Movie Studio, Opera Mini, MX Player, NoteBook, ToDo & Wireless Input Device. The above games given by the manufacturer are useless. They are installed only for 4 trials; you’ll have to buy the full game for playing further. Also, these games will unnecessary hold your memory as they could not be uninstalled. Games like Temple Run Oz, Subway Surfer worked spotless. One game that caused problem was Stunt Car Challenge. This problem could be game specific as well as device specific. The game was tearing the screen apart. Check out the following gallery for the corrupted screenshots. Features Available: GPS, Bluetooth, 3G, Wifi with hotspot. Missing Features: USB OTG, NFC, HDMI, Wifi Direct. Iris 458Q has 2000mAh Li-Ion battery that can supply juice upto 6 hours. Lava did not follow any software optimizations in the device which could have saved your juice for a day long. The device doesn’t heap up quickly. We had it plugged to an AC wall charger and ran the benchmarks and to our surprise it remained cool. Only while running multiple games made the temperature go up. Lava Iris 458Q is a wonder phone with latest Jelly Bean & a quad core processor at the price point of Rs. 8,000. The benchmark scores surprised our team. 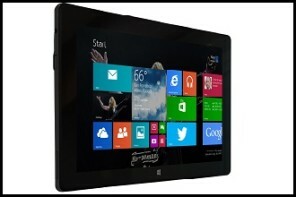 The design & display of the device is upto the mark considering the price segment. The only disappointment was the 8MP promised rear camera & front camera. Just buy this phone if you’re budget is upto 7k or even upto 10k. This device proved its stand against its competitors & even the ones with double the price tag. Competitors- Karbonn A26, Karbonn A27+, Galaxy Young, Galaxy Music, Xperia E, Xperia Tipo, etc. You observed that Notification Bar & Volume Buttons are still active even when the screen is locked. Is there any workaround for this? A diff. Screen Lock software maybe? Also how is this phone’s – 1) Performance & 2) Camera quality when compared to Xolo Q600? I see that 95% of the specs are same in both. I’m seriously considering buying this phone so pls let me know. There is no option that could avoid the functioning in the lock screen. May be a future software patch from the manufacturer can resolve this. Performance is almost similar for both the phones. Camera quality is slightly better for Iris 458Q. You might have a battery with high wear level. If the phone is less than 6 months old then you can get it replaced for free. i am very confused in between lava iris 458q and xolo q600.which should i buy ?which is best? Which one do you suggest between lava iris 458q and panasonic T11. I feel iris 458q is better but not convinced on the quality and service. I’ll go with Iris 458Q. Quality is good in Lava devices but servicing couldn’t be said for both these Manufacturers. You should check with some other 16GB SD card. The problem could be with the SD card. Probably your battery wear level might have increased or it could be a model specific problem. If this problem persists, contact service centre. Display could be replaced in 10-20 minutes. They say 10 days depending on the availability of the specific display. 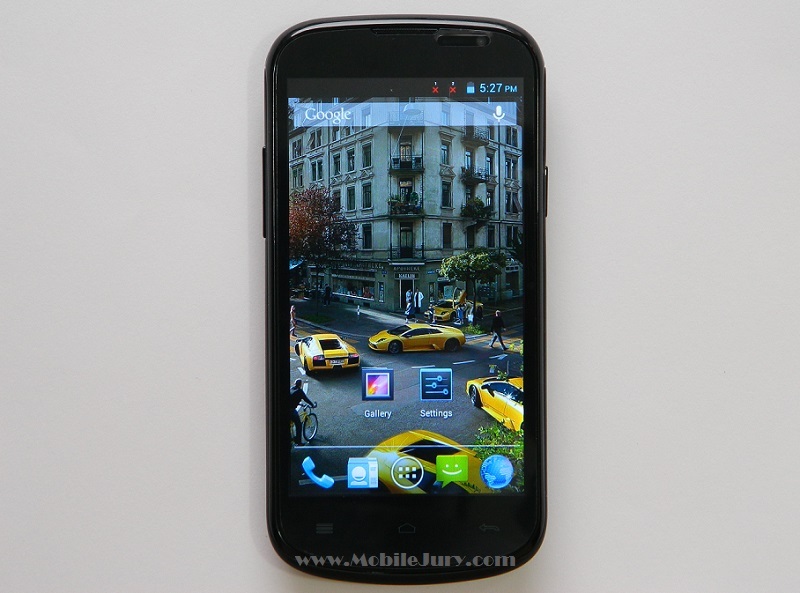 : LAVA Iris 458Q has 2000mAh Li-Ion battery that can supply juice upto 6 hours. and buy if you are : Power User. 1. Only 2G Internet Connection On Full Time With (Gmail, Facebook etc Signed in). 2. 3 Hours 2G Browsing Internet. 3. 5 Hours Play MUSIC by LOUD SPEAKER. AND Moderate USAGE, It Will Provide 2 Days. By the Way: Please Define This Phone (WE Think Every Mobile MUST PASS This Standard) Network Strength and Call clarity During Travelling Like BUS, TRAIN, MOTOR CYCLE, SHOPPING MALL UNDER GROUND etc. Many Mobile Has Good MULTI MEDIA Functions. BUT Not Better For Calling, Network Signal in HARD AREA Like During Travelling. While OTHERS Ordinary & Traditional Mobile Has Better than Above Mobile for Calling Purpose. Yes! If you use as you have specified then your battery should not go below the mark of 20%. Moderate usage will last approx 1.5 times that of power user. Unfortunately, as of now, there are no standard procedures that could be carried out to test the network strength & call clarity of mobile phones at various places. We have tried to implement such systems in our review but the process is too much diversified hence couldn’t be performed as expected. We hope, (very soon) we could device a method that could make this thing simpler. Thank You for Valuable Advice. 1. 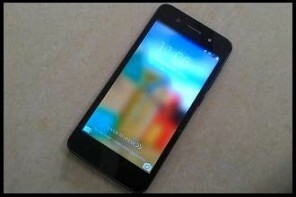 Is LAVA iris 458 Q Has Smoothly Running 2 Level Multi tasking ? OR Make A Long Duration Call etc. For Above 2 Level Multi Tasking With (100% Smoothly)? 1. Lava Iris 458Q will satisfy your multi-tasking needs that you have specified. 2. It is not only RAM, processor & no. of cores that decide smoothness of operations in a phone. There are some more factors that affect the same. Hence, we, at MobileJury, need to test each & every device instead of talking about it by just looking at its specifications. 1. LAVA iris 458Q Has Wireless FM Radio ? 2. Define Full Specifications For Any Mobile on Mobile Jury. No it does not have wireless FM. I could not get your second question. What are you trying to ask? We cannot confirm about the KitKat update for the phone. There could be many possibilities why your phone gets ‘stuck’ & you have to restart it by removing the battery. It also depends upon the apps you use, amount of RAM free, malware, corrupt files, etc. Find out the reason, you’ll get the solution easily.